IN SEARCH OF “A LITTLE PLACE IN THE COUNTRY”. 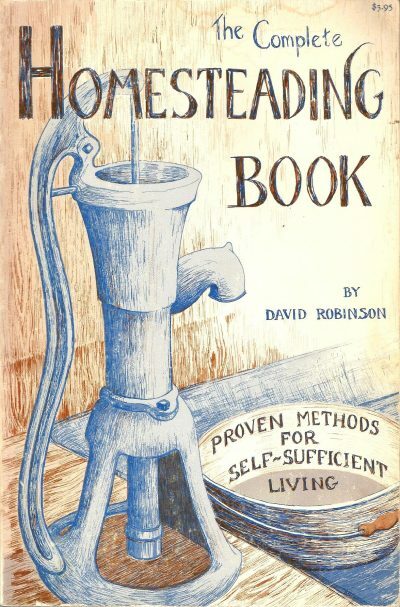 The Complete Homesteading Book: Proven Methods For Self-Sufficient Living by David Robinson. With information on buying land, planning and building the homestead, raising food and animals, water, waste, heat, lights, economics, community, and more. “Such is the superiority of rural occupations and pleasures, that commerce, large societies, or crowded cities, may be justly reckoned unnatural. Indeed, the very purpose for which we engage in commerce is, that we may be one day enabled to retire to the country, where alone we picture to ourselves days of solid satisfaction and undisturbed happiness. It is evident that such sentiments are natural to the human mind.” – John Loudon, A Treatise on Forming, Improving, and Managing Country Residences, 1806.